The Runggaldier family gives you a hearty welcome in the House Sonnenberg. 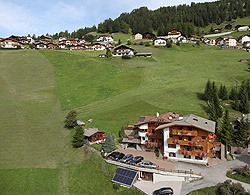 From our house you will enjoy a wonderful view to the Sassolungo, Group of Sella and the Cir group. Our house is situated on a very quite zone, 5 going minutes distant from the village centre. Every apartment has free Wi-Fi Internet. We offer you mostly completely renewed 2-6 people’s apartments. 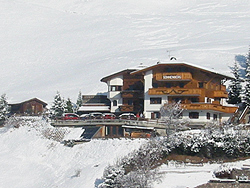 In winter you reach the ski slopes in 150 mt distance. 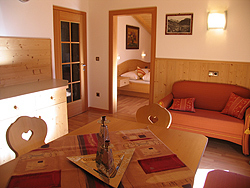 From there you can enjoy the largest ski roundabout of the world, Dolomites "Sellaronda"
Apartments Sonnenberg in the middle of the nature.